They call it a C-5 High, and it’s brand new. It’s right on the water. The bigwigs down across the river over by the Windmill decided to build this building because, hey, business is booming. It seemed like just last month this area was simple shoreline. Last year in this little town we saw a wave of people came flooding in because of a few new factories around the border. You can smell the scents from those places hanging in the air if the wind is against you. They smell terrible, but they also smell like profit for us. I am standing on the thirtieth floor watching ships haul freight to and from the seaport. It came soon after the factories. Can’t say I like the sight, but progress is progress. Heck, all of this happened so fast the real estate in my neighborhood shot up in value, and with this new job I scored a pretty sweet apartment. You could say that life is pretty swell in this town. The only downside is that, as citizens, we have to fill out a survey on the mayor every month. That guy must be full of himself or something. It only has two questions, which I find strange, but I usually put down the same thing. “Is the mayor doing well?” Sure, whatever. “Biggest complaint about the city?” Smog, I guess? I WOULD put down “Lack of streets” or “Hey, dude, it takes me HOURS to travel by train to work,” but those aren’t options. Really can’t complain, though. In my youth I found countless ways to waste time. I would ride bikes to look at new neighborhoods, build makeshift bunkers in the dirt for my G.I. Joes, or watch ants crawl about the grass. In many ways I was probably already playing “God games” before even realizing it. Maybe all of this is why I find Maxis’s SimCity to be a relaxing way to kill time. Although there have been several versions of SimCity released over the years, my all time favorite is the one that was released for the Super Nintendo in 1991. It mimics the original 1989 release of the game on PC, but with added bonuses specific to the SNES. This review focuses solely on the SNES version of the game. If somehow you have never seen the images on this page or facsimiles thereof, let me enlighten you on the premise of SimCity: You, as mayor, somehow have total control over all facets of your city’s life, including what areas are zoned what, where roads go, and taxes. You watch over all of this with omnipotent glee, and if you balance everything well enough, your town will prosper. This, of course, is easier said than done, and without an ample amount of patience and planning, you will be without funds quickly. When starting a game, you are asked to pick out a plot of land from a few hundred pre-made types. These will all have differing amounts of water and land, but a general rule of thumb is that you want more land than water. Makes sense. Once your plot has been chosen, you give your city a name (mine was called “Bisquick”) and then choose a difficulty. Easy, Medium, and Hard all give you varying amounts of starting cash, but after that the game plays without any differences. You are basically choosing how fast you want to get your city up and running. After choosing “Easy” – no one picks anything else, let’s not kid ourselves – your barren wasteland of a city comes up before you. You have now started your unending tenure as mayor. How many times can you hear the sound of the siren coming from the factory across the tracks before you go mad? I don’t even know what it is for. Shift change, I guess. There’s always a cessassion of smoke from the stacks for a few minutes when this happens, and I can sometimes see the sun peek through the otherwise yellow sky. It wasn’t always like this. About a decade ago this area was gorgeous. Just a few houses and a nice park in the middle. You know, it’s funny, but pretty much any development in this town is set in a circular pattern with some THING in the middle. I guess the city planners don’t think too much out of the box. Anyway, about a decade ago this place was great. Then before we knew it the factories came to the area. The mayor came down for each of their openings, cutting a little ribbon and giving a little speech about how that factory will help the whole town. Pah, “Whole town.” I am sure the fatcats in that new tower on the river love it, but those of us who live around here don’t find them to be all that great. Sure, they bring in jobs, but who cares about that when they turn your neigborhood into a slum? SimCity is built around zoning land for use by your populace, and there are three types of zones that you can use: Residential, Commercial, and Industrial. 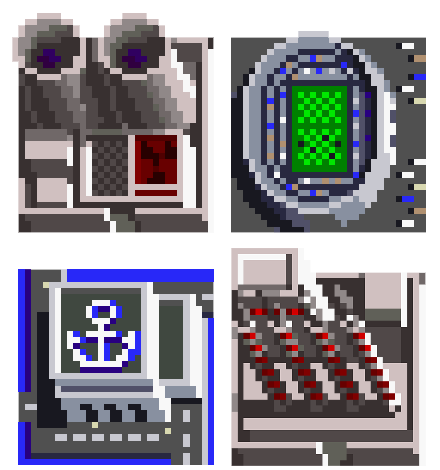 To keep things simple, the game assumes that all of your residents – or Sims – will work in factories in Industrial zones and Commercial zones are where they would go to buy things. Don’t start dwelling on the fact that to operate clothing stores or restaurants, there would have to be Sims manning the counters and therefore Commercial zones would produce jobs too. That’s a fatal mistake. Everyone in your town builds cars and makes paper and catfood. Just deal with that. As a result, Commercial zones are needed in your city, but not to the degree that the other two are. Balancing these three zones are the key to everything. Too many of any one of them and you’ll be faced with undeveloped zones that look like garbage. And no one wants to live next to garbage. The difficulty in balancing comes from the fact that your Sims don’t really want to live next to the raucous, smog generating Industrial zones, and they only need so many Commercial outlets to buy Sim sized truck-nuts or skinny jeans. As any city knows, once you start creating an active populace, crime and accidents are soon to follow. Fortunately, you have at your disposal an infinite – provided your budget – amount of police stations and fire stations to help curb the epidemic of man. Get used to them, because you’ll be placing a ton. They are about as effective as a Kleenex up against the spray from a water hose. Additionally, you have access to Stadiums, Seaports, Airports, and energy producing buildings like Coal Plants and Nuclear Power Plants. Pay no attention to the fact that you can get Nuclear Power in the year 1900. THIS ISN’T REAL LIFE. The Stadium, Seaport, and Airport all boost the growth of a particular zone type: Residential, Industrial, and Commercial, respectively, and your Sims will start whining and complaining about the your city’s lack of each of them as time progresses. Beyond just these zones and buildings, your Sims will have to be able to travel among these places, and the connective tissue comes from roads and rails. If you have never played the game before, roads seem like a pretty simple requirement for transportation because you have existed on Earth for a while, but in this game you should probably avoid them like the plague. Opt instead for an all rails based society, and even though it makes no sense whatsoever, your Sims will be happy there is less smog about. The last couple of items you can place on the map are power lines and parks. The power lines are self explanatory, but parks have a couple of uses. Not only do they provide a bit of beautification in the land, they also help curb the pollution epidemic you most certainly will be dealing with. One tool in your palette is used solely for destruction for when you make a mistake. The Bulldozer costs just a couple of bucks to use, but can tear down a skyscraper in no time. When my city of Bisquick had reached the borders of my plot, I used the dozer to tear down and rezone plenty of schools and hospitals. MY PEOPLE NEEDED MORE PLACES TO WORK. I AM NOT A MONSTER! Schools and Hospitals are randomly created from Residential zones. As far as I know, in this game they do not add anything of value as far as population size, but they can aid it getting gifts. GIFTS? AWWW YISSSS. The question mark button on your tools is for gifts. Completing certain tasks while building your city will reward you with various super-awesome buildings. For making 200miles of rails, for example, you get a train station that boosts Commercial growth. For growing your city to 2,000 residents, you get a mayor’s house that boosts nearby residential growth. There are about a dozen gifts, and most of them have some affect on the zones nearby, so placing them strategically is key. I’ve seen it all. I’ve seen everyone. I HAVE to see everyone because as a metro rail conductor in this city there isn’t another option. You see, unlike other towns, we only travel by the click-clacks here. This was some “grand design” by the mayor when he was elected. “A safe commute for the whole family!” he ran on. Well, partially. At least, that’s what I hear. I wasn’t in town at the time. From what I understand, hardly anyone was, but they took him up on it. We are all used to it now, except visitors (try explaining the train stops to a newcomer), but I still don’t understand how the police and fire crews get around effectively. 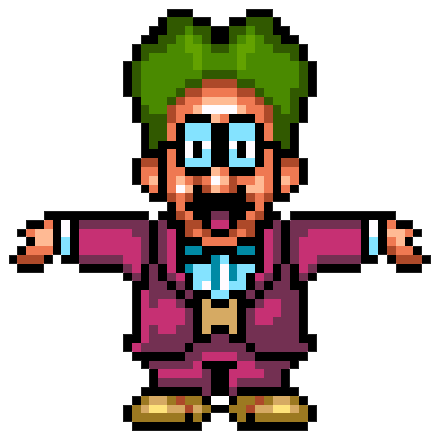 A lot of people now just think of mayor as some sort of mad scientist of urban planning. Or maybe I am just speaking for everyone, but I certainly see him that way. One week you’ll see a new sprout of businesses pop up here or there, the next they’ll be gone for some low rent housing, and then the next everything will be gone and a park is built. Like anyone wants to go to the park that is right next to the catfood plant. I see that a lot, though, parks right next to factories. I guess it helps buffer the populace from the noise and commotion, but I’ll be damned there aren’t some empty benches in those sad parks. To the Charts and Things! Gameplay in the SNES version of SimCity mimics its PC sibling. You have a little cursor and the D-pad moves it about the screen. You click on a zone or building to place in your toolbar, and the cursor changes to an outline of that item so you know what its footprint will be on your map. Press the accept button and watch your money dwindle away. (As an aside, how great would it have been had this game came out after Mario Paint? Full mouse control? YES PLEASE.) But placing that object strategically is important. We have already talked about the benefits of keeping Industrial zones away from Residential zones, but the game includes a pretty robust set of maps and charts to help you along the way. These maps will show where the greatest concentration of pollution, crime, or traffic. They will show you which areas are rapidly growing and which are becoming sluggish. They will show you where the highest value of land is (Protip: put commercial zones on high value land to grow them quickly). There are maps to see the radius of your police and fire departments, and another that shows you exactly where your roads and rails are. These guys are infinitely helpful in planning your next move, and are an essential aid when listening to your people. The voice of the people can be found in another helpful section, and they will tell you exactly what needs improvement on the whole. A lot of the time this will be about pollution (which is hard to curtail) or crime (build more police stations, dummy). Combining these two sources of information makes steering your city much easier than guessing. But if you happen to still have trouble, there is a digital facsimile of the game’s creator, Will Wright, that will help you along the way. At any time during the game, you can ask Dr. Wright how you city is doing, and he will give suggestions on how to fix the worst issues your city has at the moment. From time to time he will pop up automatically and give these suggestions to you, too. At the end of each year of your city, a chart comes up with the monetary figures. If you have been playing effectively, your city will hopefully come out in the black for the year. If you built too many things in the last twelve months, you might see some red. On this screen you can fiddle with funding for transportation, police, and fire, but altering their funding will drastically reduce each of their effectiveness. The greatest cause for change with your funds are taxes, and you can control them as needed from 0% to whatever you wish. Most of the time 5-7% will keep your Sims from griping too much. The elements certainly don’t like to sit idly by and let you build with leisure. There are several disasters that can come up naturally or by your own hand. The most frequent disaster you’ll face are plane crashes or boats beaching themselves to the shore. These can cause fires and will spread through your city, and if you don’t happen to have adequate fire brigade coverage, your buildings and gifts could be destroyed. The other, worse man-made disaster comes from your nuclear power plant. If it melts down, you will be in a world of hurt. Acts of God manifest themselves as tornadoes, and in this version of the game, Bowser can appear and rampage your city Godzilla-style. You cannot really do anything to stop these disasters once they start other than reloading from a previous save. With a couple of button presses in the menus, you can set of any of these disasters for fun to smite your city for not growing fast enough. There is no way to “beat” this game. There technically is no end. However, the challenge that most people associate with creating a full and vibrant city is turning your once tiny village into a Megalopolis. To do this you need 500,000 residents and skillful planning of space and assets. If you happen to make this achievement, you will be rewarded with the greatest gift of all: a giant Mario statue! You can place this statue like any other gift, and watch as the people flock to live around it. Should You Sim It Up? If you are a fan of “God games,” then yes most certainly. This particular version of SimCity is probably a little easier to get a handle on because there are so few zones and buildings to deal with, but for me this greater accessibility probably makes it more fun. To this day I shake my fist at water pipes in SimCity 2000. Screw those pipes. But again, if you have access to an SNES or better yet, a Wii (costs 800 Wii Bux), this version of SimCity is a great, relaxing time waster. Play it.